I think young moose are among the cutest critters on the planet. 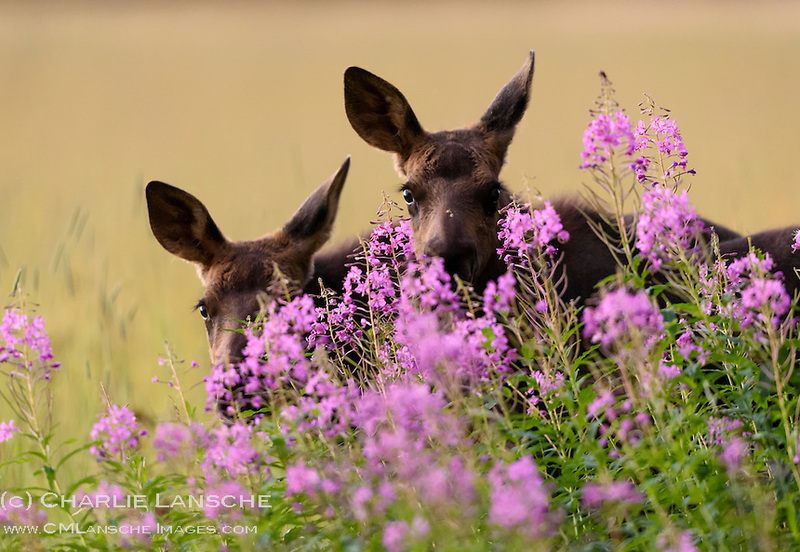 These twin calves peek at me through vibrant fireweed while mom maintained a watchful eye just outside the frame. Island Park, Idaho.